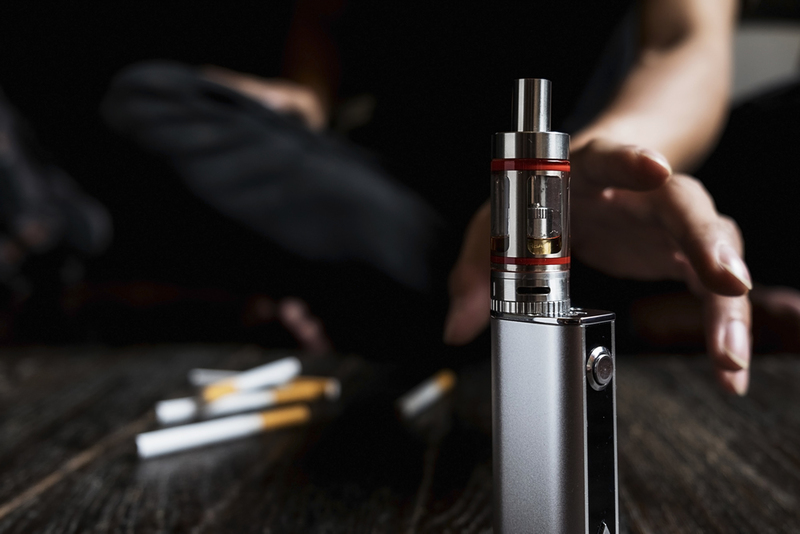 Giving up smoking for good is a difficult journey to embark upon and with all kinds of temptations surrounding you on a daily basis, it’s very easy to end up back where you first started. Support is key to successfully quitting smoking forever and while your friends, family, support groups and doctor can help you on your way to a healthier life, there are some apps that can help you along the way, too. Here we discuss a number of some of the best apps available to download, that can give you that extra push to stop smoking. You should also find out how vaping rituals differs from smoking and read our 5 Easy Steps to Successful Vaping guide. The NHS Smokefree app is free for anyone and aims to help users quit smoking. The app consists of a 4 week programme in which you will be given advice and support on a daily basis, as well as a number of badges to congratulate you, the further along your quitting journey you go. Not only that, but you can keep photos, videos or voice notes within the app, as a way of remembering a particularly proud moment – the perfect way to encourage yourself to carry on, on days when you feel a little low. There’s so much more to the app that we could discuss, but why not check it out for yourself? It’s free and easy to download and has already helped millions of smokers to quit for good. This app, designed by quit smoking therapists, doctors and psychologists reveals a 5-step programme that helps the user get a better understanding of the interaction between the smoker and the smoking habit. By positive reinforcement and a fun game environment reward structure based on Cognitive Behavioural Therapy (CBT), this app guides you through the process of turning your nasty smoking habit into more healthy habits. This app is probably the most highly rated app out there by review sites and Quit Genius users! Used with a set quit date in conjunction with your vape kit gives you all the tools you need. The My Quit Time app aims to help smokers quit, by showing you the amount of money you are saving, simply from giving up cigarettes. The app provides users with the length of time you have been on your quitting journey, how much money you have saved since you stopped buying cigarettes and the amount of cigarettes you haven’t smoked since quitting, and information on the health improvements you should begin to see along the way. Not only that, but as a user you can enter your own personal rewards that you look forward to treating yourself to, once you have saved enough money from quitting smoking. So if you’re dreaming of heading off on a summer holiday, you can simply work out the costs, enter it into your My Quit Time app, and it will let you know when you’ve saved enough money to treat yourself to that holiday! The app is a great tool for anyone who needs the encouragement of incentives to get them through their quitting journey. Another fantastic app to help with stopping smoking is Quit That! In fact, the app can be used for help with quitting all kinds of bad habits, and smokers have found it especially useful for ditching the smoking habit. The main purpose of the app is to keep track of how long it has been since you quit smoking, by showing you real time data in hours, minutes, seconds – even months and weeks! You can also choose to share your journey with other users of the app, or if you’d prefer, you can keep it to yourself too. One of the first stop smoking apps available, My Last Cigarette has successfully supported vast amounts of smokers in their quest to stop smoking for good. The app provides a number of motivational displays, including improvements or risks to your health as your progress along your journey, how much you are saving by not buying all those cigarettes and how much your lifespan could potentially increase as a result of quitting smoking. You can also expect images and diagrams to give you a better understanding of what smoking can do to your body as well as the effect of quitting. You can also expect a daily message from the app, as a way of motivating you to keep going. So whether you’re ready and raring to begin your stop smoking journey, or you’ve already started and finding it difficult to keep going, it’s well worth downloading the app. While it’s bound to be difficult along the way, in time you’ll begin to see that quitting smoking is possible one of the best things you’ll ever have done. To make sure you succeed in your pursuit, make the most of these apps as well as any additional support tools available to you and you’ll begin to make progress in no time.